Find yourself needing a boost during the day? Have a stressful meeting, presentation, or test on the horizon and want something to help calm the nerves? Wanting to add a little something to that fun and flirty look? 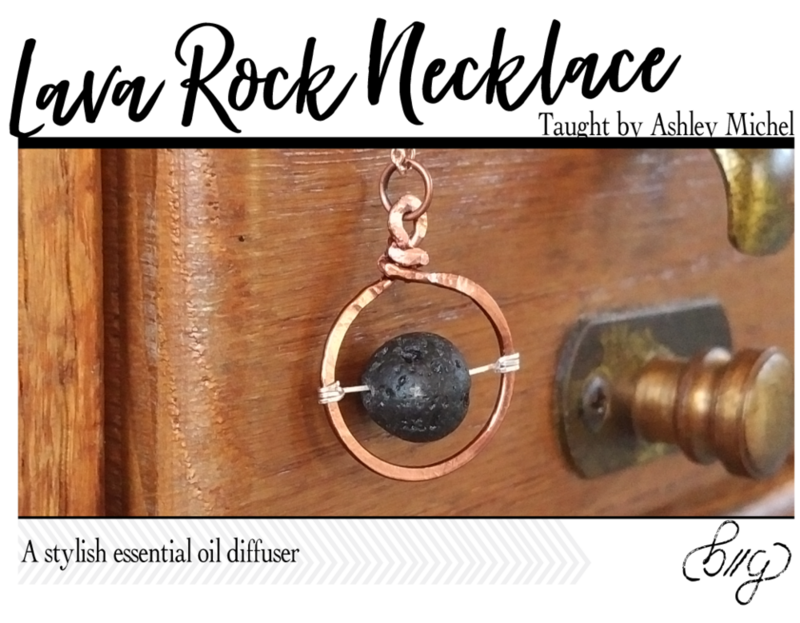 Make this stylish lava rock necklace that doubles as an essential oil diffuser and always have the right scent to set the mood for whatever life throws your way. In this class, you'll learn some basic hammered wire and wire wrapping techniques to complete this project in your choice of metals: copper, silver, or gold. There will also be several colors of lava stones available as well. You'll also receive a few essential oil samples to start you on your way into oil diffusing.